Here we are at the beginning of December with high-season just around the corner for Tamarindo. It’s been pretty amazing to see how many folks we’ve had in town in November. And if this is any indication of what the coming months we be like, we anticipate a lot of new visitors at church this year. This past month of November was a month of thanks, and of compassion. 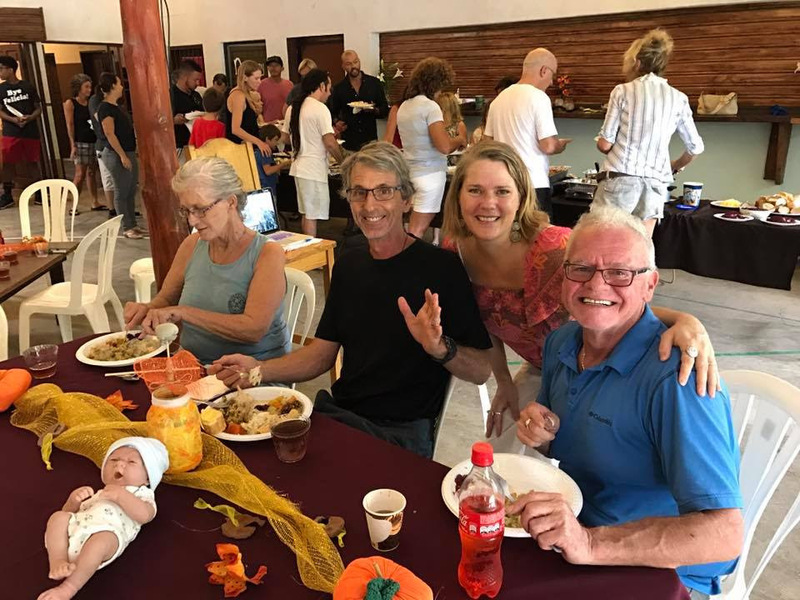 It was a month of thanks, as we gathered as a church family to celebrate Thanksgiving together. As we gathered, we took time acknowledge God’s goodness in our lives over the past year, and to give Him thanks. We shared some wonderful turkey and sides and desserts brought by our guests. And we also had some good laughs with games of “Minute to Win It”, and the Family Fued. Crazy enough, Thanksgiving day was the day that Hurricane Otto hit Costa Rica. Fortunately we decided to move our Thanksgiving meal to an earlier time in the day, and we were out of there before any rain or winds came. Thanks to all who pitched in to make for a delicious Thankgiving meal! On the other hand… as I mentioned… November was also a month of compassion. 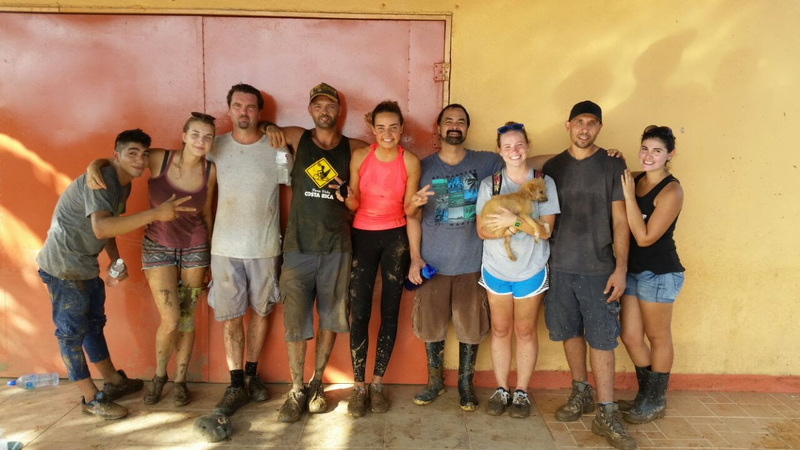 In the days following the Hurricane, we began to hear stories of severe flooding in the mountains of Costa Rica. In response, we mobilized a team of folks from our church to bring food, rice cookers, shovels and wheel barrows, up to a church in Upala. Following the flooding, the church had become a relief distribution center for the community. We were also able to help people clean up their homes after the flood. Thank you to all who contributed toward and participated in this effort. Thank you to all of you who have already made your pledges for 2017. We are off to a great start with $32,000 already pledged! 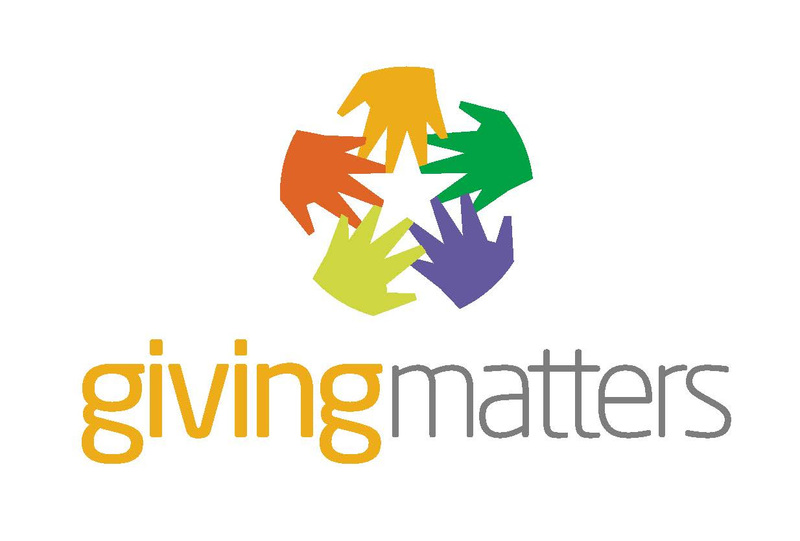 Your giving is what allows us to continue serving and reaching the people of our community and those travelling through. 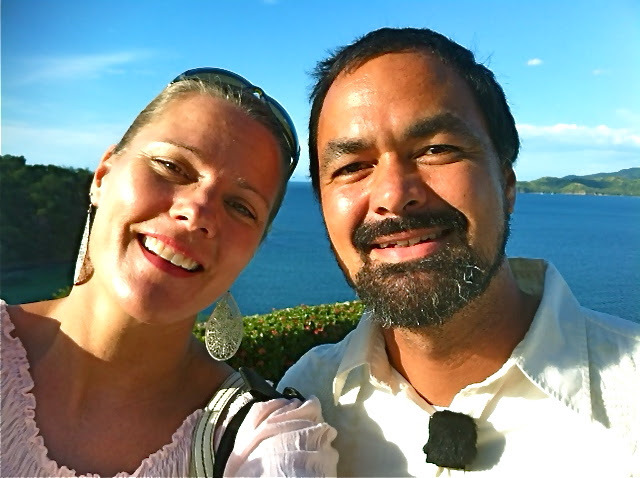 Thank you for your generosity toward Tamarindo Church. While our Budget for 2017 is $106,000 , our goal is to raise $70,000 in pledges. With $32,000 already pledged, this means that we are $38,000 away from reaching our goal. As for the remaining $36,000 that will get us to $106,000 , we estimate that this amount will be met through our Sunday offerings and unforeseen gifts throughout the year. Please continue to pray with us that God would meet our financial needs for the coming year! If you are planning to make a pledge but have not yet done so, please let us know your pledge amount by the end of December as this will help us to have a better idea of where we stand financially going into 2017. 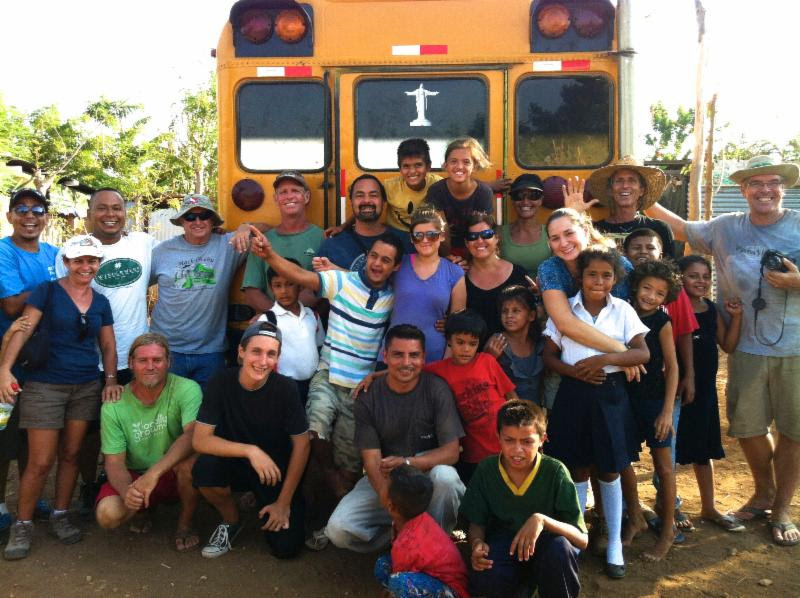 Thanks again to all of you for the many ways you contribute to the life and ministry of Tamarindo Church. Blessings to you and your loved ones as you celebrate the true meaning of the Christmas together. Due to poor weather conditions, our Sailing Day has been postponed to this coming Sunday. 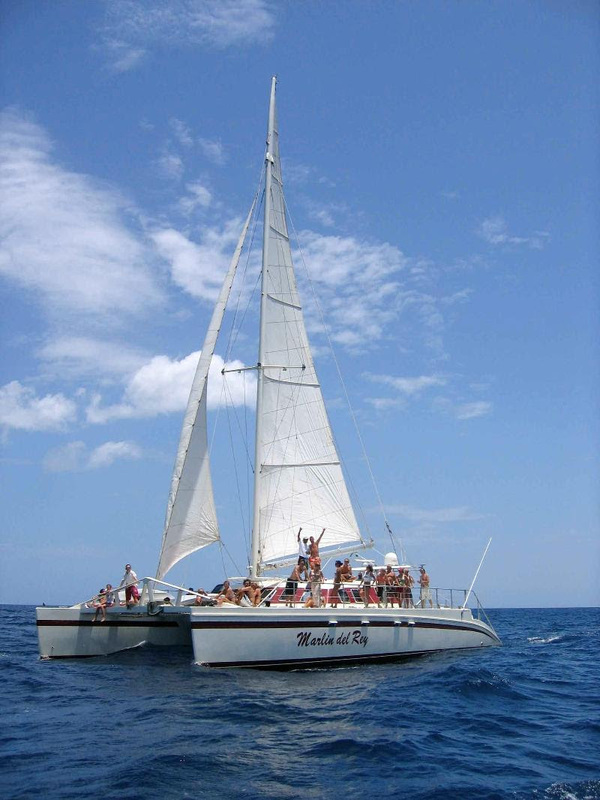 Come and join us for a beautiful day of sailing, snorkeling and fellowship aboard the Marlin Del Rey Catamaran. Our church is getting a super discounted price, so be sure to take advantage of this opportunity. 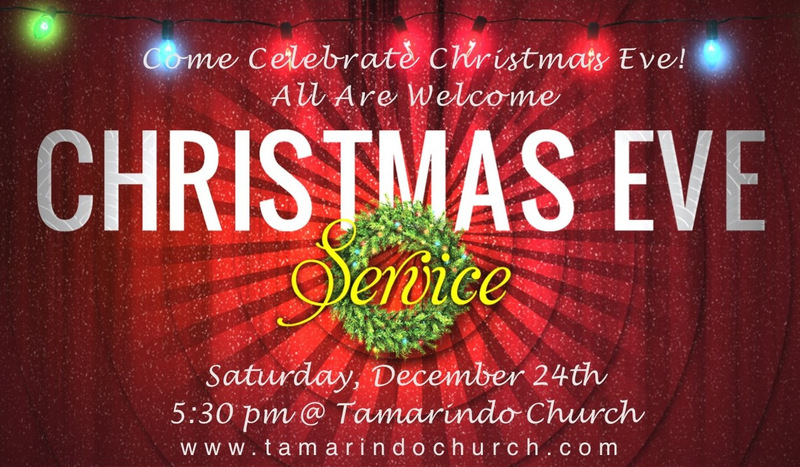 Come join us for a night of Celebration at Tamrindo Church. Please note: There will be no Sunday Worship Services on Christmas Day, Dec. 25th…. or on New Year’s Day, January 1st. In consideration of people’s time spent together with family on Christmas Day, there will be no worship service held on Sunday, December 25th. Please join us to Celebrate Christmas the night before… Saturday night on Christmas Eve. In addition, Pastor Lyle and family, and a number of our staff and volunteers will be out of town on Sunday, January 1st. Because of this we will not be gathering for worship on New Year’s Day. 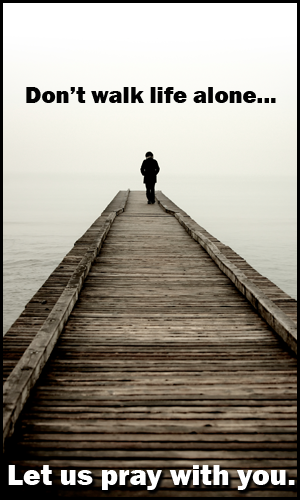 We apologize for any inconvenience to those who would like to be at church on New Years Day. For those who wish to gather for worship, we encourage you to participate in Beach Community Church’s New Year’s Day service. Click Here to go to the Beach Community Church Facebook Page for more information and directions. WE STILL HAVE 5 SPOTS OPEN!! Thanks thanks to God for our staff and volounteers who serve in many roles in the church. Please pray that God would continue build a sense of unity and family among our core church members. Prayer of spiritual protection over our family and our church Ministry Teams…. guarding us from anything that causes disunity and divisiveness.